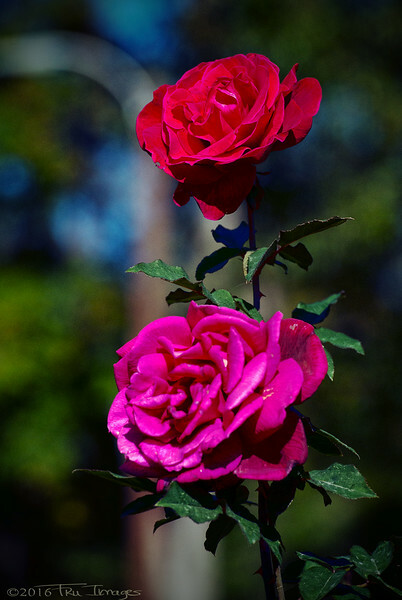 Saw these beautiful roses on the grounds of a church. All of the roses were the size of saucers! Thank you all so much for your continued interest in all of my photos, new and old! Like how the reds pop against the dark BG! Indeed they are a pretty couple. Well done! Very pretty - love the vibrant and deep magenta color of the roses. Lovely...I like the two colors together! Well composed and beautiful colors. They are beautiful and your capture is awesome. Great shot of this colorful duo.